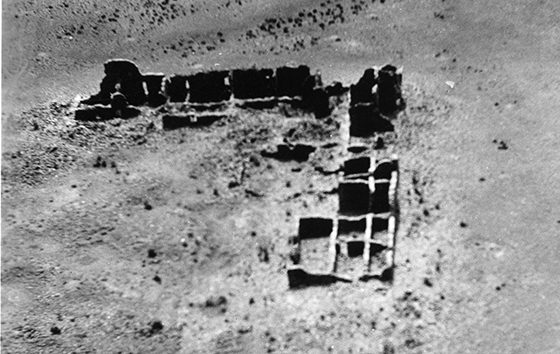 As editor, I chose these amazing archaeology stories from the pages of American Archaeology magazine because each of them stood out for 2017 in some way—from the highly-disputed contention that humans occupied southern California 130,000 years ago, to the famous aviator Charles Lindbergh’s role in aerial archaeology, to the remarkably dissimilar way very ancient skeletons are treated. The stories are ranked in no particular order. When Christopher Columbus visited the Isla de Mona, located halfway between Puerto Rico and Hispañola, in 1494, he found its indigenous residents fishing and farming, part of a thriving Taíno culture that spread across much of the Caribbean. At only twenty-two square miles, Mona is roughly the size of Manhattan. But beneath its surface is another world: an astonishing network of tunnels and caves that often made it easier to get around underground than through the dense vegetation above. Mona, which is now part of Puerto Rico, is an uninhabited island that’s managed as a nature reserve. 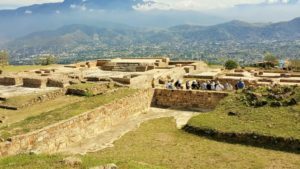 When Jago Cooper of the British Museum and his colleague, Alice Samson of the University of Leicester, arrived on Mona in 2013, they intended only to conduct an aboveground archaeological survey. “We kind of got sucked into the caves,” said Cooper. 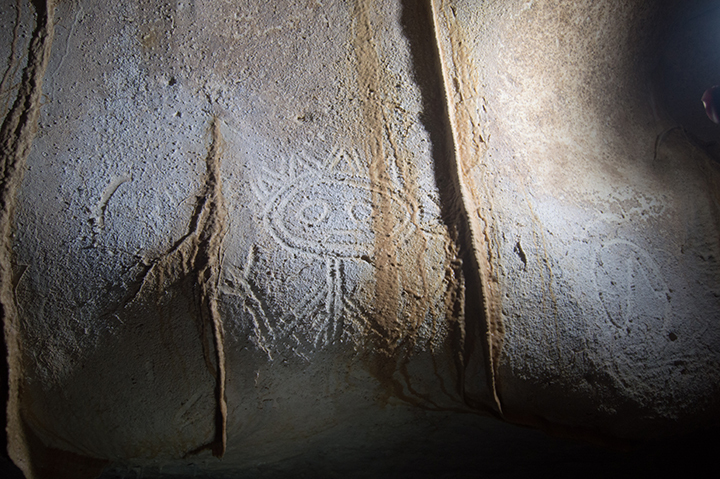 What they found quickly became the focus of their work: prehistoric people had left rock art in many of the caverns, usually by carving directly into the soft walls. 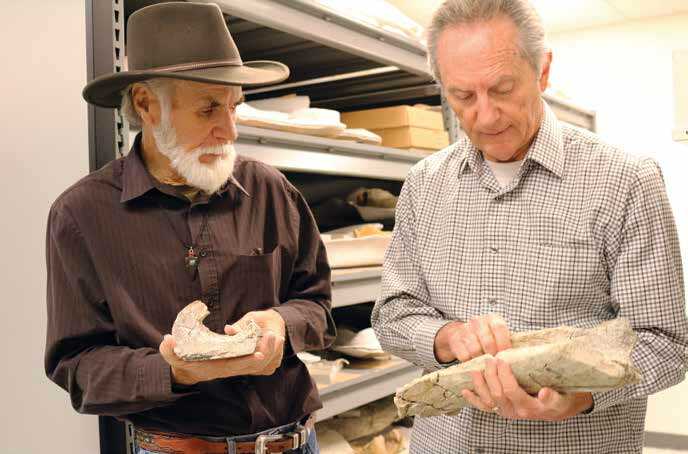 curator of paleontology, look at mastodon bones recovered from the site. Credit: Kate Johnson, San Diego Natural History Museum. 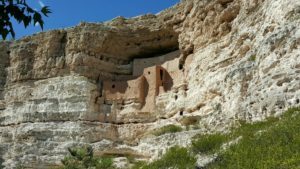 A group of scientists have proposed that ancient humans occupied an area near San Diego, California approximately 130,000 years ago. 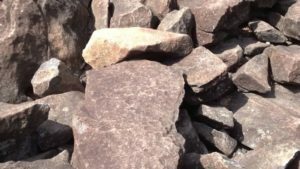 The research team, led by Steve Holen, research director of the Center for American Paleolithic Research, published their findings in the journal Nature, causing an uproar among archaeologists who generally consider the earliest date for humans in the Americas to be less than 25,000 years ago. The debate is by no means settled. 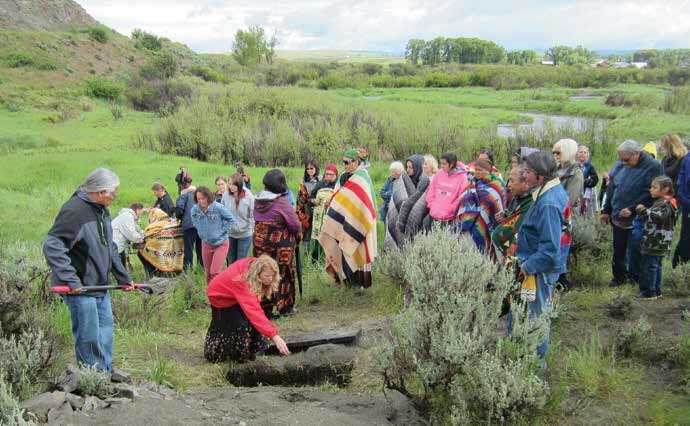 Sarah Anzick (in red jacket) places dirt in the grave of the Clovis-age child who was reburied in a public ceremony. Credit: Michael Waters, Center for the Study of the First Americans. Earlier this year 8,600-year-old Kennewick Man, whose remains were discovered more than twenty years ago in eastern Washington, was repatriated to the Colville, Yakama, Umatilla, and Nez Perce tribes, who claimed him as their ancestor. The tribes then reburied the skeleton at a secret location in the Columbia River Basin. 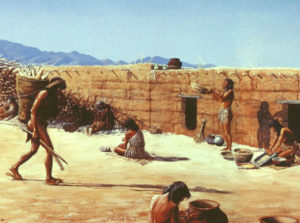 The tribes had waged a long, costly, and highly-publicized legal battle to take custody of Kennewick Man under the Native American Graves Protection and Repatriation Act (NAGPRA), which they lost in 2004 when the court ruled they could not prove a connection to the skeleton. On January 26, 2017, Kimberlee Moran, the director of forensic science at Rutgers University-Camden in New Jersey, and Anna Dhody, a forensic anthropologist with the Mutter Museum in Philadelphia, visited a construction site in Philadelphia’s Old City Historic District. The site, a vacant lot at 218 Arch Street, is where the developer, PMC Property Group, plans to build an apartment complex. 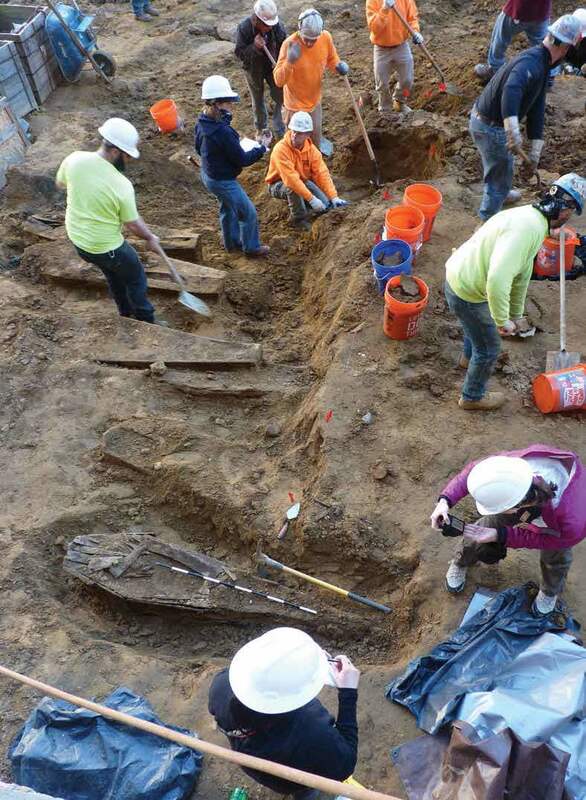 In November of 2016, Moran and Dhody had read a Philly.com story that a construction crew with Fastrack Builders, which was hired by PMC, had uncovered human remains while excavating the lot with heavy equipment. So Moran and Dhody contacted PMC and asked permission to recover a small box of bones for analysis and to survey the site. “There were bones on the surface of the grounds,” said Moran, and they were clearly from humans. They collected some bones—“enough to fit in a shoebox,” Moran recalled—for analysis. Before departing, they offered to monitor the excavation on a voluntary basis in the likely event that more remains were uncovered, but PMC declined. of thirty-two individuals at McClamory Key. Florida, with an average elevation of six feet above sea level, tops the list of states at risk of flooding due to climate change. Over three-quarters of the Sunshine State’s twenty million residents live on or near its 1,350-mile coastline, and the National Oceanic and Atmospheric Administration reports that sea levels are already rising more than a third of an inch a year. Even modest projections show Florida’s sea levels up to seventeen inches higher by 2030. While politicians and urban planners debate how to deal with this, archaeologists are looking to the past to see how its earliest inhabitants adapted to changing sea levels long before high-rises filled the streets of Miami. photographed it suggest it’s roughly 1,000 years old. Credit: Lindbergh Collection, MIAC/Lab MIAC cat# 70.1/ 130 , Chaco Canyon, Pueblo Pintado. In 1927 an obscure U.S. Air Mail pilot named Charles A. Lindbergh completed the first solo trans-Atlantic flight from New York to Paris, thereby achieving word-wide fame. Virtually everyone knows about Lucky Lindy’s historic flight in the Spirit of St. Louis. But few people know that Lindbergh was also a pioneer in the field of aerial archaeology. Vocational historian and writer Erik Berg has extensively researched Lindbergh’s life and aerial archaeological surveys, bringing to light his efforts to help locate and document ancient sites and landscapes. 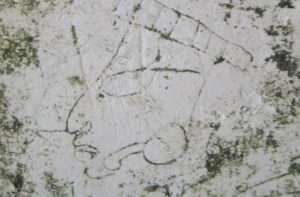 This finely executed anthropomorph is portrayed with a headdress and vertical lines across its forehead, possibly representing tattoos. 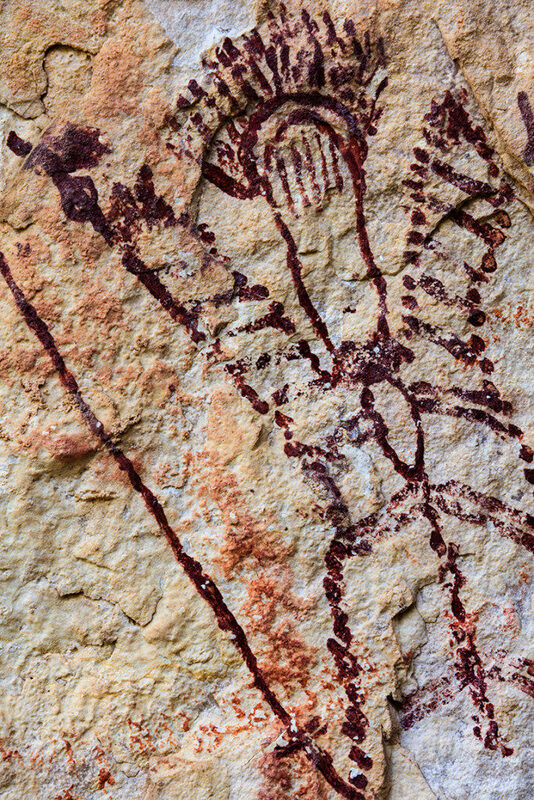 Natural features in the rock wall were incorporated into the painting to represent eyes. 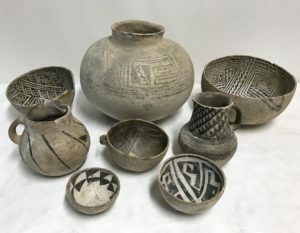 This practice of “incorporation” was common among Pecos River style artists. 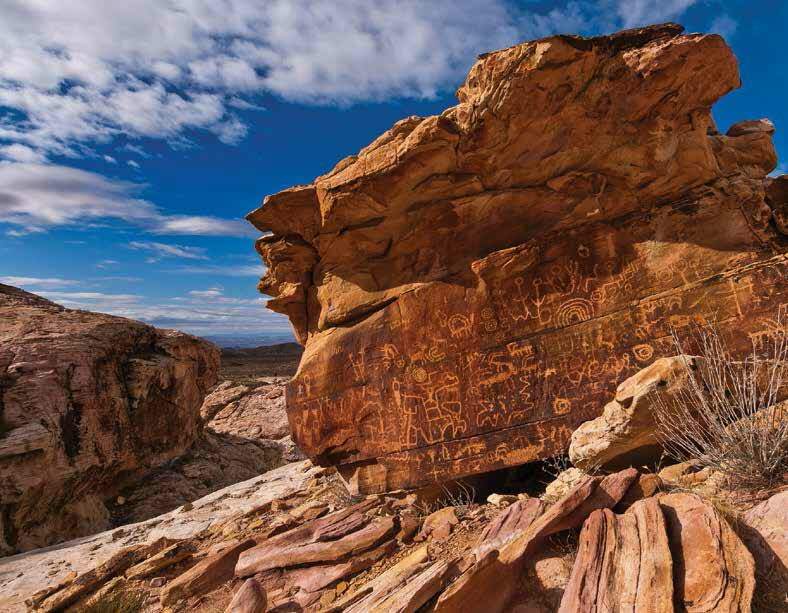 Having scrambling about the shallow, open-air rock shelter known as the Wiley site in southwest Texas, six archaeologists took inventory of the many iconographic figures painted on the shelter wall and prepare to make high-resolution photographs that document, and possibly reveal new details, about these ancient, often indecipherable images. The archaeologists work for the Shumla Archaeology Research & Education Center, a nonprofit organization based in the dusty town of Comstock. with a stone tool. It’s possible the cuts were made when the horse’s tongue was removed. Credit: Lauriane Bourgeon. 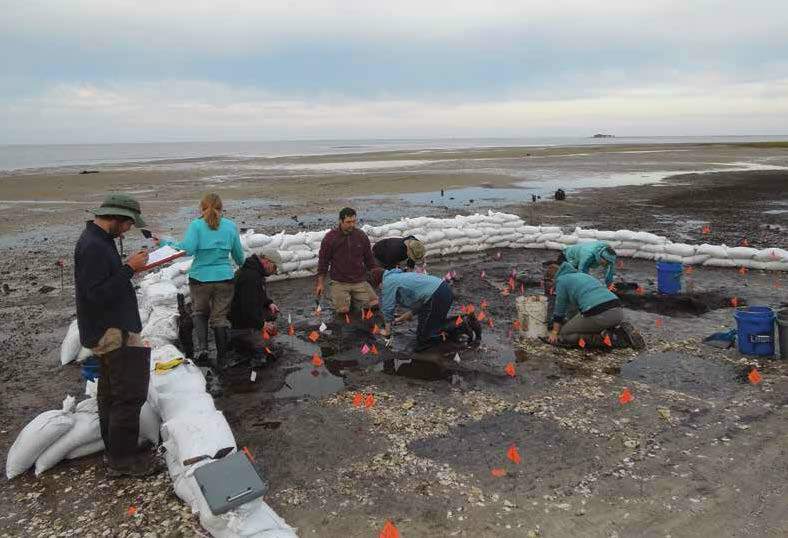 A recent re-analysis of cut marks on ancient bones discovered at Bluefish Caves near the Alaska/Yukon border confirms previous controversial claims that humans occupied the area about 24,000 years ago, according to a study published by PLOS ONE in January. If true, this would mean the Americas were occupied about 10,000 years earlier than previously thought. 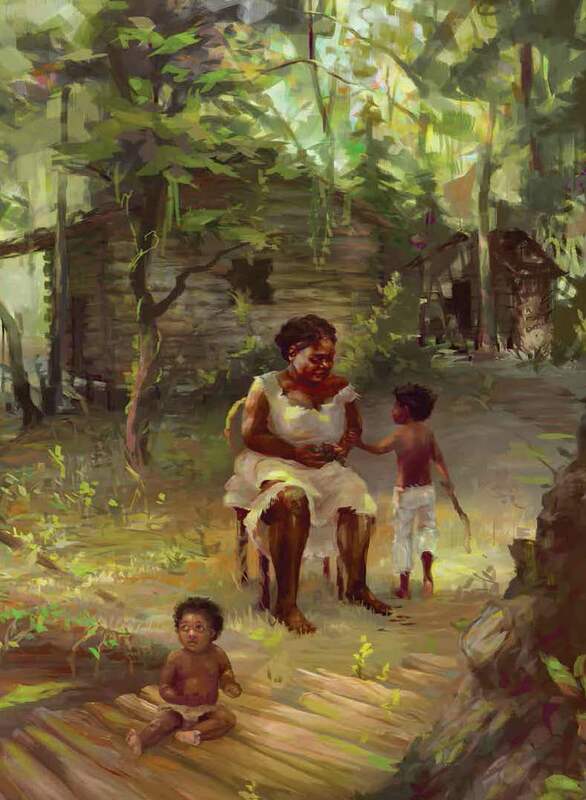 By around 1680, African American Maroons established communities on islands in the swamp. “I sometimes ask myself why I didn’t do one of those projects where the dig is right next to the parking lot.” Archaeologist Becca Peixotto wasn’t complaining, but she sounded a bit wistful on a cool, cloudy day last December as she caught her breath, brushed some mud off her hip waders, and dropped a heavy pack at her excavation site deep within the Great Dismal Swamp, a vast wooded wetland that straddles the Virginia-North Carolina border near the Atlantic coast. 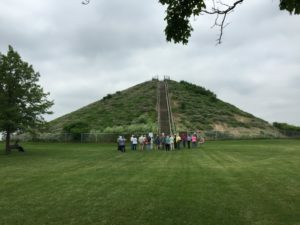 In the late 1980s, while working in Wisconsin, Lynne Goldstein, now archaeology professor and director of the Campus Archaeology Program at Michigan State University, served on a panel working to assess Wisconsin’s historic preservation laws. “A wide range of changes were proposed and passed—with bipartisan support—and Wisconsin had some of the best overall preservation laws and policies in the country,” recalled Goldstein. The state adopted a highly effective and innovative burial law. Nearly thirty years later, when a politically-connected developer proposed building on land containing documented burials, the governor and others pushed to change the state burial law. “Fortunately, enough people—including Native American tribes—pushed back, and the changes were halted, at least temporarily,” Goldstein said, though a study committee continues to review the law. 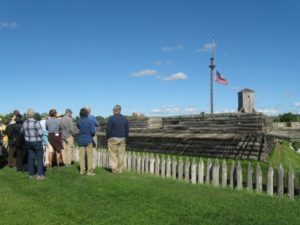 Nationwide attempts to weaken historic preservation and burial laws have been accompanied by funding cuts for archaeology programs, museums, and historic sites, as well as state and federal archaeological positions. 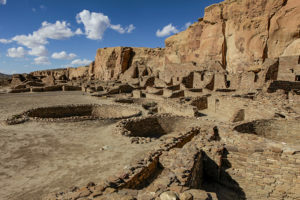 “We are already losing a huge amount of institutional knowledge about the archaeological record, and now we are losing the positions and any possible transfer of that knowledge,” said Lynne Sebastian, the former director of historic preservation programs with the non-profit SRI Foundation and the former New Mexico State Archaeologist. Get your Copy Now! 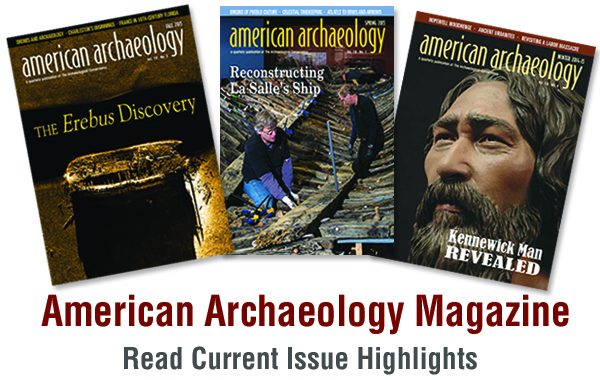 Receive a subscription to American Archaeology Magazine with a $30 annual donation. Visit our Membership page for details on becoming a member. Browse Articles Excerpts from our latest issue, WINTER 2017-18.